June 19, 2017|Posted in: Healthy, Beautiful You! Summertime is in full swing! The temps are soaring and the sun is blazing! Time enjoy the warm weather and make some fun memories with friends and family! 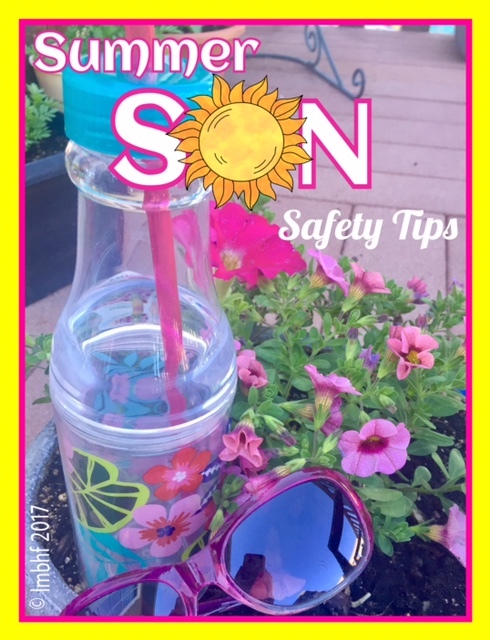 These Summer Sun Safety Tips will help! Vacations, picnics, barbecues, parades, lazy days on the beach and vigorous hikes up steep mountain trails – those are the things that good summer memories are made of! Dehydration, sunburn, heat exhaustion and bug bites – unfortunately those things can make summer memories too, but not the good kind! Nothing can ruin your fun in the sun more quickly than those nasty side effects! No worries though! If you follow these easy, practical summer sun safety tips you can keep your summer adventures from turning into disasters. Avoid Temps Above 90 Degrees – We’re usually safe to be outside for an extended amount of time in temperatures up to 90 degrees. When the temp rises above that, use caution and limit your time in the sun to avoid heat exhaustion or heat stroke. (For more info on safe outdoor temperatures read: Playing Outside is Good for Children). Always Wear Sunscreen – Sunscreen not only protects against sunburn but it can also reduce the risk of skin cancers. Frequently outdoor adventurers think they’ve adequately applied sunscreen, only to end up with a burn in an unexpected location. So don’t forget to apply sunscreen to the top of your head, your ears, your neck and your shoulders! Protect Your Lips – Remember lips can be sunburned to! Use a lip balm with sunscreen to keep your lips soft and protected. Carry a Water Bottle With You – The hot sun will cause your body to sweat and become dehydrated, especially if you’re being active and exercising. Take a bottle of cool water with you when you’re out in the sun and drink lots of water to stay hydrated! Protect Your Eyes – Sunburned eyes will be red and sting and can be very painful. A good pair of sun glasses will protect your eyes and keep them from getting burned. Put on a Hat – Wearing a hat will provide added protect you from the harmful rays of the sun. Wear Long Sleeves – A long sleeve shirt made of a lightweight, breathable fabric such as cotton will protect you while still allowing you to stay cool. Take Refuge in the Shade – Taking an occasional break from the sun, by finding a shady spot or by going indoors to cool off for a bit, will renew your strength and energy. Cool Off with a Spray Bottle – Nothing feels better than a cool mist of water on a hot summer day. Create a Breeze with a Hand Held Fan – A nice breeze will cool off on a hot day, but what if the air is still? You can create your own breeze with a hand held fan! A combination spray bottle/hand held fan will do double duty to cool you off! Use an Insect Repellant – Humans aren’t the only ones who enjoy the warm summertime temperatures; the heat of the sun brings out the bugs as well. So, if you’re going to be out amongst the pesky critters, make sure you apply an insect repellant to protect you from their often painful and annoying bites. Follow these Summer Sun Safety Tips to make sure you and your family stay safe in the Sunshine this summer. Have a Safe, Fun, Happy Memory Making Summer! 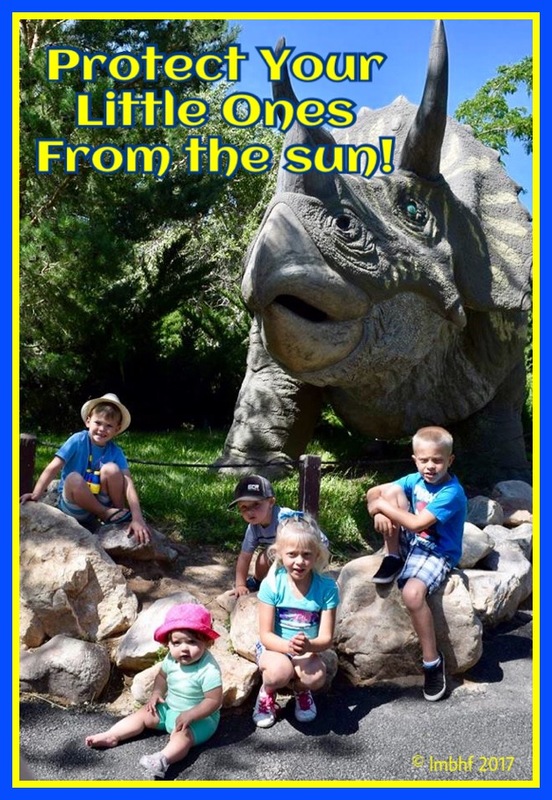 You might also enjoy reading: Summer Fun Round Up and 4th of July Family Traditions. Great advice. I tend to neglect these things too often, especially remembering to stay well hydrated. And because I rarely burn I often do not think about sunscreen. However, I know I should wear it anyway. Thanks Gina! I have the same problem, I rarely burn so I neglect sunscreen all too often. Thanks for the great reminders about Sun Safety. This summer has been a sunny and hot one so far. The kids and I have gone through buckets of sunscreen already. LOL Thank you for linking up with us at the #HomeMattersParty this week. Hope to see you again this Friday. Summer is the most enjoyable season. This is when most of the family gets bond and have fun under the sun. But during this season, you have to be ready and be prepared also especially when traveling. Always practice safety if you’re with family or your kids.